The process for releasing money from your local government pension scheme (for this article we’ll call this your LGPS for ease) is not as straightforward as it is with a private pension, but the great news is, it can be done. This guide offers handy information and the key factors to take into consideration. Pension release has become very popular over the last two years and many people who have a LGPS are being advised that if they wish to take advantage of this feature, they will need to move their fund to a personal pension (sometimes referred to as a money purchase scheme). If you have a LGPS you are in a good place pension-wise, as uniquely it can offer a guaranteed future income (normally at a reduced level from the age of 55). On the flip-side from this age, a personal pension can be more flexible in how you take your money. You will therefore need to give these two options careful consideration to ensure your short-term and long-term financial security. A financial adviser can guide you through the complex world of pensions and highlight the most cost-efficient road ahead. Pension release allows people the opportunity to flexibly access money they have saved in their pension, before they retire. You are allowed to take 25% of your pension pot tax-free from the age of 55. This could be really handy when you are in need of a small lump sum to see you through difficult times. It’s important to seek financial advice first though because releasing your pension benefits early could reduce your income at retirement. Also, you do not have to take the money in one hit – you can release lump sums over whatever period you like. The remainder of the money within your pension fund will still be invested and continue to grow. Why do I have to move my pension to gain the benefits of pension release? Pension release was designed as a feature of “personal pensions”. Your LGPS is classed as a “final salary scheme” so is less flexible although in some cases you can opt to take a reduced tax-free cash sum and income from it before the scheme retirement age. Therefore, to take full advantage of pension release you would need to move your fund and investments to a personal pension. 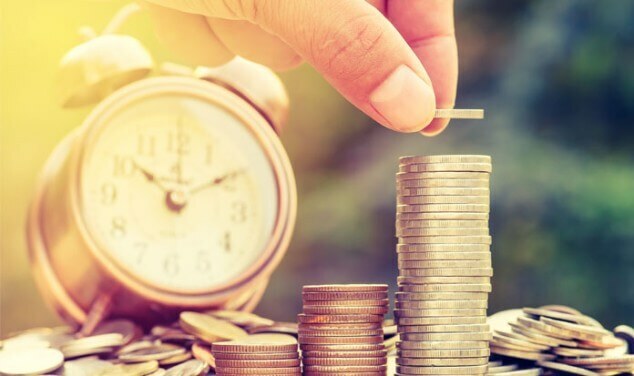 An LGPS comes with many attractive benefits and features of its own, so it is essential that the benefits you may be gaining from a new pension scheme are thoroughly weighed up against the features you may be sacrificing. It’s important to seek financial advice when considering a transfer to a personal pension, as you need to ensure that the new scheme would at least match the benefits you would have received from your LGPS at retirement and doesn’t take away any of the benefits that reflect your future needs. Hopefully the information in this guide has given you a clearer idea of pension release and your options if you are in a LGPS. Below are two frequently asked questions. Why does my employer say I cannot release money from my local government pension? The reason there is a need for financial advisers is they have a robust understanding of the world of pensions and they can act as guides through the many different options open to you. Employers may well be experts in the features of the schemes they offer, but that is often as far as it goes. Therefore, if your employer has said you cannot release your money, then this is correct – you cannot directly take money from your local government pension. It could be possible to take a lower tax-free cash and income amount at the same time before normal retirement age. A financial adviser on the other hand can consider other possibilities and have the skills and knowledge to interpret whether you can transfer your pension and guide you through the whole process. To answer this question, you first need to balance the importance of what you currently need with what you might need in the future. Taking money from your pension now could reduce your income and therefore affect the way you live your life when it is time to retire. On the flip slide, for many people considering this option, resolving their current need can have a lasting positive impact on their future. It is not an easy decision to make. And that is why many people seek advice from a regulated, independent financial adviser, someone who knows pensions inside out and who will do all the hard work for you.